Fri., Sept. 16, 2016 – The widely acclaimed, eighth annual “Beaver Tales” storytelling event, sponsored by the Beaver Area Heritage Foundation, returns to Beaver. We are so excited to be welcoming a diverse group of storytellers to Beaver County to help connect our communities to the world and celebrate different cultures! A Lunch, Listen, Laugh event with Donna Washington will be held the following day, on Friday, September 16th, at noon at the Beaver Area Memorial Library. Reservations are required to attend this event. Please contact the library at (724) 775-1132 for more information. Also on Friday, September 16th, our storytellers will be entertaining and captivating school children throughout the county. Motoko will be telling tales at State Street Elementary School (Ambridge Area) and at Saints Peter and Paul School (Beaver). The Storycrafters will be crafting their stories to the delight of students at Dutch Ridge Elementary (Beaver Area) and at Lincoln Park Performing Arts Charter School (Midland). Finally, Donna Washington will be entertaining students at College Square Elementary (Beaver Area) and at the Beaver Library. The culmination of the Beaver Tales Storytelling Festival will be a special evening event at 7:00 PM on Friday, September 16th, at the gazebo in Irvine Park (the alternate / inclement weather location will be College Square School). Make sure to bring your lawn chairs and blankets! This will be a free event for all ages, featuring these amazing, internationally acclaimed storytellers. 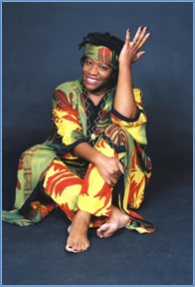 Donna Washington – Donna was born in Colorado Springs, Colorado. As an army child, she traveled all over the world with her parents. Her father would sit at the dinner table and spin the wildest yarns imaginable. He taught her Arthurian Legend and Greek Mythology by telling the stories in the first person. She thought he had actually been with Merlin and Oedipus. She thought he was thousands of years old. Donna spent from second to sixth grade in Seoul Korea. It was during these years that her parents adopted three Amerasian children. Through it all, she learned about different people, places and of course, learned their stories. Donna attended Northwestern University and was involved with numerous theatrical productions. It was at this time that storytelling reemerged as something she wanted to learn more about. In the four years she was there, she began to make storytelling a central part of her performance life. Her first recording work was done with Warren Coleman Productions. She provided the talent on a storytelling tape that was so successful for Children’s Press that the tape was used to make four wordless picture books. It was at this time that Donna began writing books. Her first writing project was an anthology. It has been in the works for almost twelve years. A Pride of African Tales was released in December 2003. Award winning illustrator, James Ransome provided the lush watercolor pictures for the book. It received rave reviews from the American Library Association (ALA) Booklist and the School Library Journal. Pride has been nominated for the Pennsylvania 2005-2006 Young Reader’s Choice Award Donna’s second book, The Story of Kwanzaa, has been in print for eleven years. It is a wonderful primer for kids about the African-American celebration of Kwanzaa. Donna’s third book, A Big Spooky House, is a wonderful book to read aloud at Halloween. Her next book will be entitled Li’l Rabbit’s Kwanzaa and will be published by HarperCollins Children’s Books. Donna is also a multiple award winning recording artist. She has received numerous Parent’s Choice Awards for her recordings, Storytelling World Honors awards, Children’s Music Web Awards and other honors. She has performed at thousands of schools & libraries and numerous storytelling festivals throughout the country, many of which she has been the feature storyteller. She also offers workshops in storytelling, writing, education, and creative drama for librarians and educators. Motoko – A native of Osaka, Japan, Motoko first came to the U. S. as an exchange student to the University of Massachusetts. Her earlier career included working as a Japanese language instructor at UMass for ten years. She trained with the late master mime Tony Montanaro (1927-2002). Her partner, Eshu Bumpus, introduced her to the world of American storytelling. 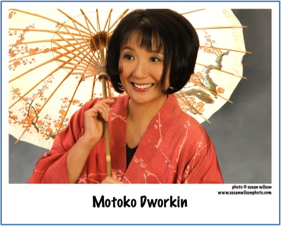 Motoko has performed professionally since 1993, going to hundreds of schools, libraries, museums and festivals. Motoko has appeared on “Mr. Rogers’ Neighborhood” and an educational video by Harcourt, and also has been awarded numerous grants from the Massachusetts Cultural Council and New York State BOCES. Her debut CD, “The Promise of Chrysanthemums”, won a Parents’ Choice Silver Honor Award and a Storytelling World Award. Motoko was showcased on the Exchange Place Stage at the National Storytelling Festival in Jonesborough, Tennessee, representing the Northeast region. She also toured Miyazaki, Japan, as a part of the CarnegieKids in Miyazaki Project, sponsored by Carnegie Hall. 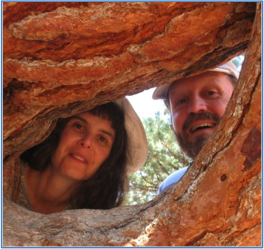 The Storycrafters – Barry Marshall and Jeri Burns, PhD have been working together as The Storycrafters since 1991, and have been storytellers for even longer than that. In addition to their work as performers, Jeri and Barry also hold positions as adjunct college faculty (SUNY New Paltz, Southern CT State University), therapeutic storytellers (Stamford CT Hospital psychiatric unit), and trainers of public defenders (New York State Defenders’ Institute). They perform and teach their art form in schools, libraries, and other venues all over the US and internationally in the Caribbean and the British Isles. They have been featured performers at storytelling and folk festivals nationally and internationally. Jeri and Barry believe in the time-tested wisdom of traditional stories, and share that wisdom with today’s audiences. They strive to honor world cultures by telling the old stories in respectful ways, often integrating the musical instruments, songs or dances indigenous to that region. Then of course, look out for their original modern renditions of the oldest stories … some of their most requested material.